I was lucky enough to get thousands of paint samples from my brother who works at Sears Hardware. I told him that if they were getting rid of them to let me know and I would take them off their hands. I got 6 huge tubs full and decided to make my students name puzzles. 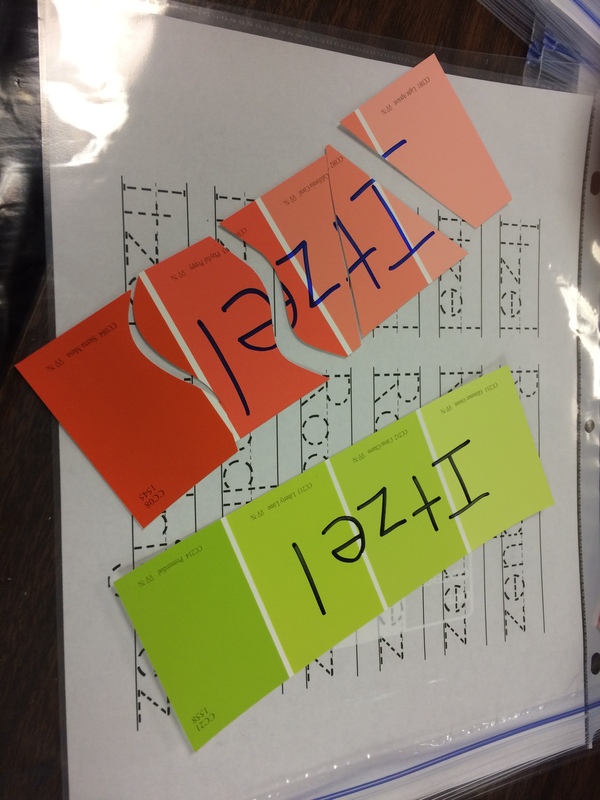 I gave each student a whole card and then one that I cut apart so they could try to match the two. What are your favorite ways to use paint samples?